Connect learning to the seasons and holidays with our large collection of seasonal worksheets. 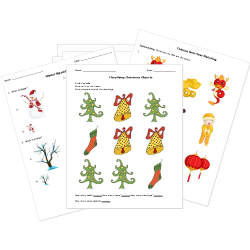 Our collection of free worksheets cover winter, spring, summer, and fall, as well as most of the major holidays. Find seasonal vocabulary, reading passages, and writing activities. 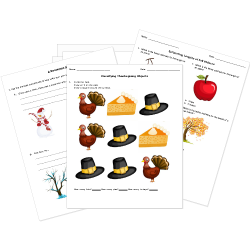 Seasonal math worksheets incorporate special images and scenarios to provide students with timely activities and holiday problems. Fall – Which is Living? Which Would You Find in Winter?